Houston Graduate School of Theology equips women and men to be ministers and messengers of God’s mission of reconciliation through academic excellence, personal transformation, and leadership development. We passionately pursue our call to join God’s reconciling mission in the world as we are conformed to the image of Christ through the power of the Holy Spirit. HGST will continue to be a community of faith and learning with a faculty and staff that affirm core evangelical convictions and with students that represent the spectrum of Christian theological perspectives, church traditions, and cultural backgrounds. We will become known for practicing deep reconciliation through Christ and for advocating “everyday faith”—God’s call for all Christian disciples to serve faithfully in every role of life. Through catalytic partnerships, HGST will engage other organizations through training and service. Dynamic graduate education programs will flourish and institutional support services will be well-sustained by wise stewardship of increasing resources. We worship God as Father, Son, and Holy Spirit and celebrate God’s intent for shalom in all creation, the kingdom of God inaugurated through Jesus Christ our redeemer, and the Holy Spirit who indwells and empowers us. We embrace practices that nurture relationships with one another including hospitality, respect, love, truthfulness, confession, forgiveness, encouragement, peacemaking, and accountability so that we can honor both our unity in Christ and multifaceted diversity. We discern and participate in God’s grace-filled, redemptive mission in, around, and through us. We welcome the transformative power of the Holy Spirit in our common journey from brokenness to Christ-likeness through the individual and corporate practice of spiritual disciplines. We affirm the authoritative witness of Holy Scripture as the meta-narrative into which the stories of our lives properly fit and flourish. We humbly exercise influence in everyday circumstances by graciously guiding movement toward God’s intent. We steward God’s gifts at the highest levels of quality possible. The seminary began as a passionate vision of Dr. Delbert Vaughn, a Houston pastor of the Evangelical Friends Church, with the able partnership of his wife, Carol. 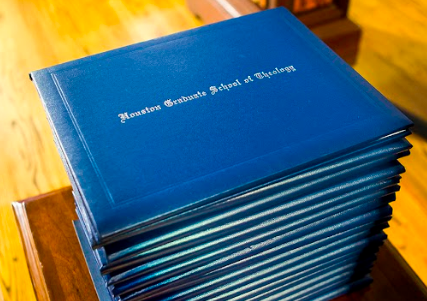 Houston Graduate School of Theology was officially registered with the State of Texas in 1983 and for fifteen years was affiliated with the Evangelical Friends Church—Mid America. The school was first housed in the Texas Medical Center due to the gracious hospitality of the Institute of Religion. Drs. Ron and Barbara Worden began nearly three decades of academic leadership that helped the school secure accreditation from the Southern Association of Colleges and Schools (SACS) in 1986. Dr. David Robinson became the school’s second president in 1997. Programs continued to expand and the seminary moved to other leased property—the Adams Petroleum Building in 1987 and Central Congregational Church in 1996. Dr. Robinson strategically helped HGST secure accreditation with the Association of Theological Schools in the United States and Canada (ATS) in 2001. HGST was the first Protestant ATS-accredited seminary based in Houston and is still the predominant local provider of theological education offering classes in the daytime, evenings, weekends, and online. Under the leadership of the third president, Dr. Keith Jenkins, the academic programs of the school were significantly strengthened and the student body grew considerably. During most of his tenure, HGST operated from a commercial property in northwest Houston and became an officially freestanding institution that affirms a constituency comprised of many denominational heritages. Likewise, the school continued to embrace its emerging ethnic diversity. HGST’s current president, Dr. James Furr, began service in 2010. Both organizational and academic dimensions were enhanced. The seminary currently offers four master's degrees and a doctoral degree. The Center for Leadership in Public Theology provides a new emphasis with training and support for students and for Christian leaders not in degree programs. The Center is propelled by the conviction that faithfulness matters for every person in every arena of life at all times and places. Since August 2013, HGST has occupied newly remodeled space on the campus of Willow Meadows Baptist Church near the southwest corner of the city’s inner loop. The multiyear lease well positions HGST to serve the entire metropolitan area and beyond. 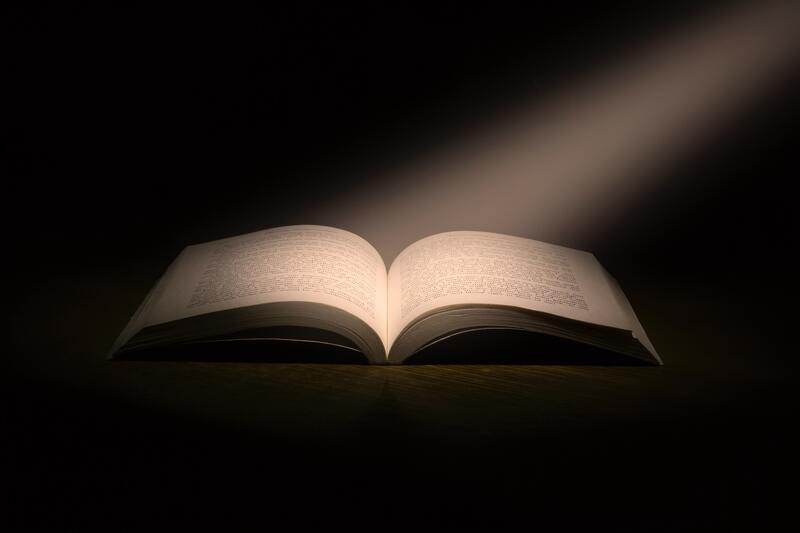 In September 2014, after prayerful discernment and dialogue, seminary leaders adopted a strategic plan called HGST 2020 that describes their understanding of God’s exciting dream for the seminary. Building on a rich history of excellent service, bright days are surely ahead for this pioneering faith and learning community!